World Kindness Day was introduced in 1998 by the World Kindness Movement, a coalition of nations’ kindness NGOs. World Kindness Day is celebrated to highlight good deeds in the community focusing on the positive power and the common thread of kindness which binds us. Kindness is a fundamental part of the human condition which bridges the divides of race religion, politics, gender and zip codes. 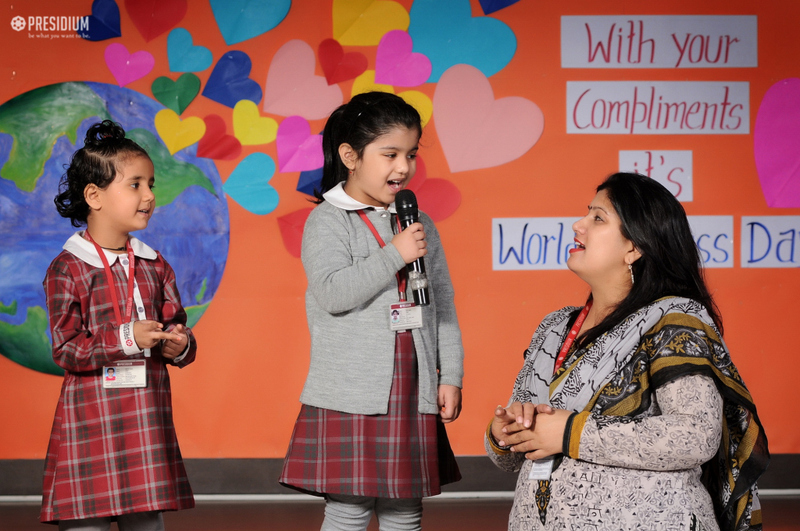 Celebrating the kindness among all human beings, the students of rades Nursery to 3, prepared a special assembly. The school prayer was followed by a dance and song by the young Presidians. The Principal gave a special speech telling the students about the importance of being kind and helping others. students spread the message of kindness and humanity through their posters and activities. They taught us how kindness is an important value for all humans that goes a long way in life.